Habits have been defined as learned dispositions to repeat past responses (Wood and Neal, 2007). In other words, a habit is a behaviour we repeat because we associate it with a specific outcome. That said, habits can lead to both positive and negative outcomes and we often carry them out without awareness, especially if the learned associations are strong. Nurturing such learned responses can be useful, such as encouraging people to lead a healthier lifestyle, reduce levels of anxiety and stress or to increase our ability to plan and use our time more constructively. When behaviour becomes habitual, we often carry it out in the absence of conscious awareness and even when we make a conscious choice not to carry out the action, we often do it anyway. We can apply the same principles to adaptive study habits, such as planning and time management (these are also components of academic buoyancy). Students already use environmental cues such as ringing bells to move from one lesson to another, or habitual behaviours connected to classroom routines. Most of these behaviours are formed through simple stimulus-response associations and with little cognitive effort. Contexts can trigger habitual responses. Psychologist William James once wrote of a time when he went upstairs to change for dinner (this was in the nineteenth century when people did such things) only to find himself changing into his pyjamas and getting into bed. This is a good example of how the environment can trigger a habitual response (sometimes erroneously). Arriving in his room ready to change presented the cue, but the automaticity of the behaviour led to him activating the incorrect response. Wood and Neal suggest that one way habits form is through our responses to specific contexts. These responses are then encoded into procedural memory and triggered again by cues in a similar context. This led to James lying in bed while his family waited for him to join them at dinner. Habits can, therefore, be triggered by a particular setting (such as a classroom) or a particular person (such as a teacher). Direct form – habits are activated by cold-cognitive association between context cues and responses (that is, without conscious thought). Motivational form – habits are activated when the behaviour is motivated by a reward. Habits and the pursuit of goals. Behaviour can be viewed as goal-directed, in which case habits can become the residue of past goal pursuit. We might, therefore, consciously develop a habit in order to achieve a certain goal. Once that goal has been met, however, the habit might well continue in the absence of it. For example, we might decide to take up cycling in order to reach a target weight. Once that target weight is met, however, we might continue cycling because it has become a habit and to not do it might even result in negative emotions such as guilt. Let’s say I wish to learn a new language. In order to do this, I need to allocate time. The habit I wish to develop, therefore, is time allocation to learn a new language. In order to do this, I first need to consider three elements, all conveniently beginning with the letter C.
Commitment – I need to commit to the goal I wish to pursue. Consistency – I need to be consistent in working towards this goal at the allotted time. Cues – I need something that will allow me to repeat this behaviour in the future; a trigger or perhaps a nudge. I can, therefore, choose to commit one hour each day to the pursuit of my goal. Furthermore, I will allocate the one hour between 5pm and 6pm and I will set an alarm to remind me. I’m also going to add a situational cue, at least during the habit formation stage. I will, therefore, always sit or stand at my desk when engaged in the activity. This preparation will then set in motion a habit loop that when acted upon each day should lead to eventual automaticity. This very much depends on the kind of habit you are attempting to form. Lally, van Jaarsveld, Potts and Wardle (2010) found that automaticity took from 18 to 254 days but the longer duration was mainly due to consistency issues. They also found that repetition increased automaticity but followed what Hull (1951) called an asymptotic curve, that is, there comes a point at which further repetition makes little difference to the automaticity of the behaviour. The average time to plateau is around 66 days. The type of task can also impact time. Pleasurable habits form quicker than less pleasurable ones, so the length of time needed to form a habit to learn a new language will greatly depend on how much I like learning the language. Tips for forming new habits. Commit to the change. Tell friends and family what you are intending to do so that they can encourage you in your endeavour. Be consistent. Whether it’s once a day, once a week or something less time-bound such as eating healthier, practice it regularly. For example, at the supermarket, pick up the fruit rather than the chocolate. Think about cues. You might set an alarm, engage with the behaviour in a particular setting for with a friend, but decide on what will trigger the behaviour. Remove distractions. Our greatest distractions include electronic devices, so turn off your phone, shut down social media and turn off the TV. Music can also distract some people. 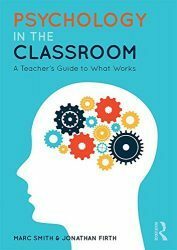 Next Post What (if anything) can teachers learn from neuroscience?